Those who remember one of my earlier posts will remember how my brain often divides itself into sub committees when many thoughts need to be thought. In October it was to deal with the wonderful warm weather in Seville and to process the roller-coaster of moving to Spain. Now that we are in December the past week has seen a similar division of thoughts, with a week of opening the doors to my advent calendar getting me in the festive mood while at the same time wondering where on earth the time has gone. 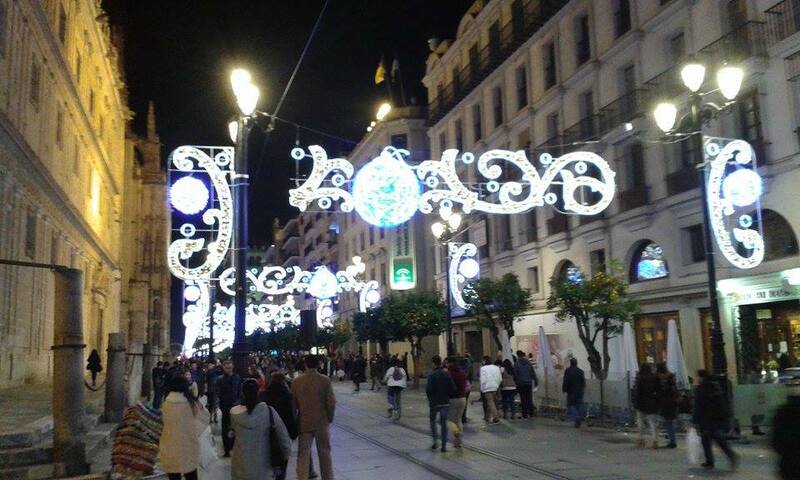 It is less than two weeks until I move back to England and Christmas time is in full swing here in Seville. This means that the amazing abundance of lights that have been put up across the city have at last been switched on. Since early November these lights have been covering much of the city centre, even the narrowest, windiest streets of the historic section. Seville by night has become even more beautiful with their switching on. The Avenida de la Constitucion is now nothing less than a wonderful tunnel of festive magic, every single lamppost forming a Christmas light column. One of our nights here last week was spent eating outside a fantastic New York pizza place, with the Sevillian festive decorations for our ambience. On shortlists for festive trips we usually find the likes of Germany, France and Belgium for their cosy markets and Christmas card scenes. 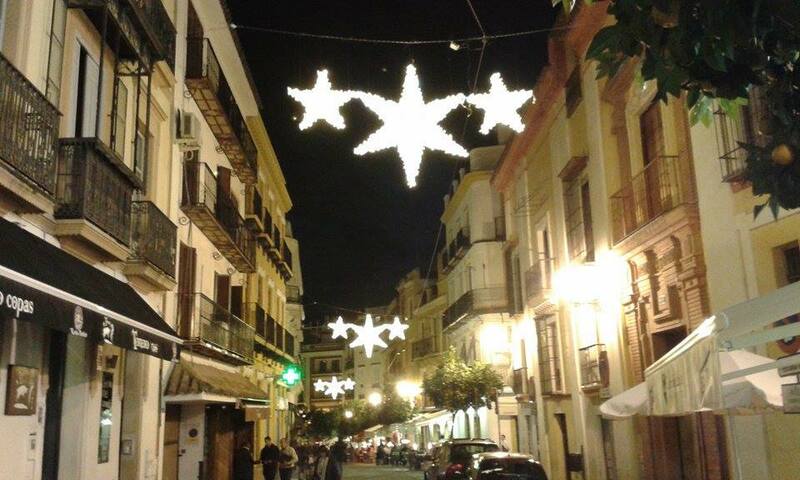 I’ll admit, prior to this experience Southern Spain didn’t jump out at me as a particularly festive place to go. Perhaps it’s the warmer temperatures that make it a less typically Christmassy place to think about but being in Seville during the festive period has certainly changed this. The strong culture of Catholicism here means Christmas is a BIG deal. In Spain it seems that Christmas Eve is the main party night; full of beautifully excessive amounts of food, drink and dancing. Christmas Day itself would be largely spent recovering from this before the frolics of New Year’s Eve come by. Early January is when things ramp up again here – on January 6th to be precise. The day when the rest of the world begins to fret about the bad luck which could come with leaving up the decorations much longer is the day when in Spain they have street processions lasting all day, the giving of presents and the main occasion to be with their families. I have heard stories of these processions throwing thousands upon thousands of sweets into the streets of Seville, and of old ladies fighting off the crowds to get as many of them as possible. Since October there have been roasted chestnut stalls set up on many a street corner here. At that time there was a heatwave on top of Andalucía’s hot climate, making for a situation where hot roasted chestnuts had little appeal. Now however I see them as the festive icing on one of the most marvellous Christmas cakes I have ever found myself in. My big festive switch on is complete.